Apart from rolling the Xperia XZ1 Compact, Xperia XZ1, and the XA1 Plus handsets, Sony also rolled out a fresh accessory for music fans in Berlin at the current IFA 2017 event. The Japanese tech firm has rolled out what can be dubbed as the rival of Apple HomePod speaker (when it comes to design). Named as LF-S50G, the latest 360-degree speaker by the company comes with Google Assistant. This makes it an easy option to the Google Home. From the design perspective, the new speaker from Sony seems same to the HomePod speaker from Apple, which was rolled at the time of the WWDC 2017 event previously this year. It looks similar from the sides as well as top and has the similar tube-like shape. 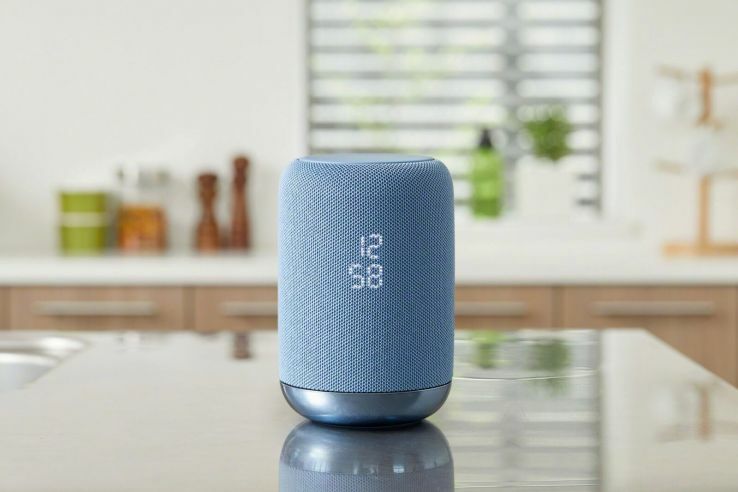 Sony claims that its LF-S50G is the first wireless speaker of the company with the built-in Google Assistant. At the event, Sony showcased the sound quality of its LF-S50G, claiming it advanced and improved than Google Home. The device comes with a two-stage unidirectional diffuser and a subwoofer. The accessory comes with the source device over NFC, Bluetooth, and Wi-Fi, similar to that of the most of the other speakers from the company. People can listen to high-quality music and control the tracks utilizing the Gesture Control tech. The feature allows people skip to the next track or regulate the volume without even touching the device. They can also do it by just waving hand close by. The speaker has splash-proof IPX3 abilities and can also role-play as a microphone that can hear voice commands of the user and apply it on the other linked gadgets, for example, the Bravia TV from the company. The Google Assistant powered speaker also allows people carry out basic features such as calendar events, setting alarms, and much more including check traffic information. It also consist a LED display positioned below the net of the speaker. The Sony LF-S50G is claimed to originally reach markets comprising the U.K., the U.S., France, Germany, and others at $200 (almost Rs 12,700). It will be arriving to the U.S. next month.